One doesn’t often pay attention to who your driver is when you hail a cab, but some drivers on Uber are not like the others. 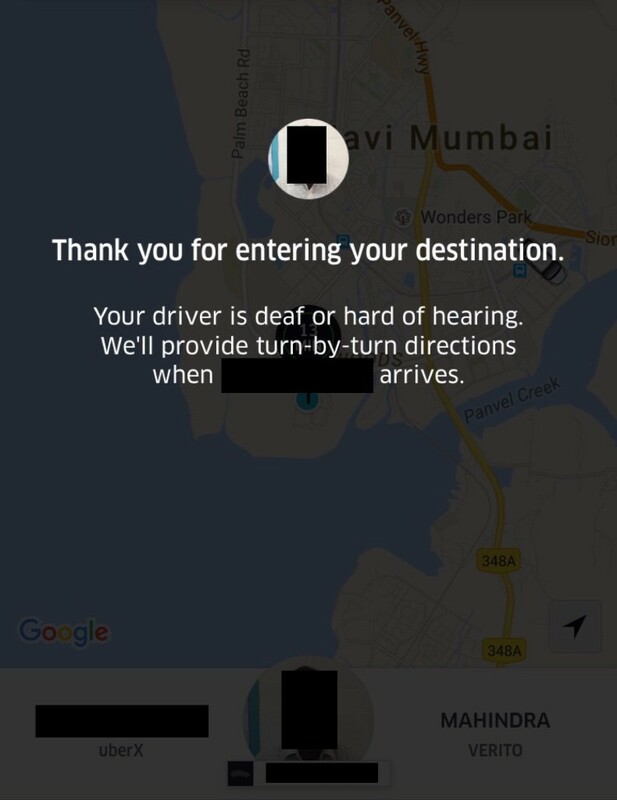 A Reddit user from Mumbai shared a picture of his Uber notification, which showed that his driver is deaf or hard of hearing. We did some digging, and learnt that Uber’s piloting a program to enable deaf drivers to work for Uber. You’d think that it would be hard for a deaf person to drive an Uber in India – thanks to Google maps not being particularly accurate in the country, customers often call up drivers to give their exact location. But Uber’s trying to give people who’re hearing impaired gainful employment, and enable them to work as drivers on their platform. And it hasn’t been straightforward. Getting a deaf person to drive an Uber meant making significant changes to the app. The Uber Driver’s version of the app for deaf drivers signals a new trip request with a flashing light, in addition to the existing audio notification. 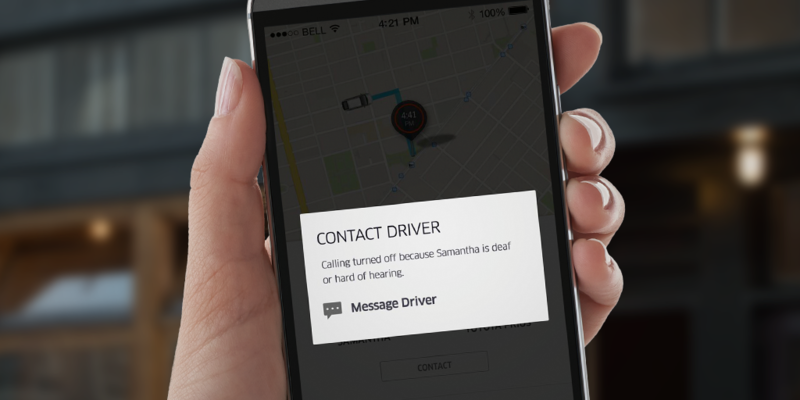 The option to call a deaf or hard-of-hearing driver is turned off, and riders are instead given only the ability to text if they need to provide special instructions for pickup. While these are small changes for a large technology company like Uber, they can go a long way in rehabilitating and giving an alternative source of employment to those who find it difficult to get conventional jobs. Uber has also initiated the Uber Fauji program where Uber recruits ex-service personnel. More power to Uber for being an inclusive company.